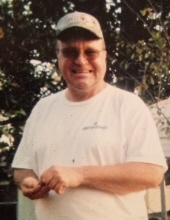 A memorial service for David Wayne Sauls will be held at 2:00 p.m. on April 27, 2019, at the Richland Creek Church of God Cemetery, 200 Richland Creek Road Foxworth, MS.
Mr. Sauls was born on February 3, 1959, and passed away in Leesville, LA on April 12, 2019, at the age of 60. He was born in Tylertown, MS to Mary Ann and Johnnie Sauls and was raised in Foxworth, MS. Mr. Sauls was a very talented musician and played the guitar. He loved music, and Bob Dylan and the Beetles were two of his favorites. Mr. Sauls was very passionate towards his interests. Mr. Sauls was preceded in death by his parents, J.N. and Mary Ann Sauls. and five grandchildren, Brianna, Ethan, Ryan, Ramell, and Lake. Words of comfort and memories of Mr. Sauls may be left at www.jeanesfs.com. To send flowers or a remembrance gift to the family of David Wayne Sauls, please visit our Tribute Store. Guaranteed delivery before David's memorial begins. "Email Address" would like to share the life celebration of David Wayne Sauls. Click on the "link" to go to share a favorite memory or leave a condolence message for the family.